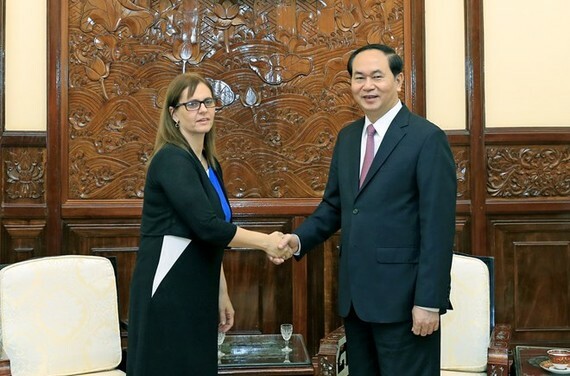 President Tran Dai Quang received outgoing Israeli Ambassador Meirav Eilon Shahar in Hanoi on June 19, congratulating the diplomat on a successful tenure in Vietnam. The State leader said the development of the two countries’ relations can be seen through a recent State visit to Vietnam by Israeli President Reuven Ruvi Rivlin. Israel also recognised the full market economy of Vietnam, received more agricultural apprentices and increased scholarships for Vietnamese students. The two sides negotiated a free trade agreement, signed a memorandum of understanding on setting up a joint research fund, and enhanced cooperation in hi-tech agriculture and security-defence industry. 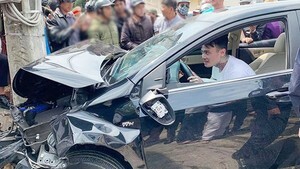 Those outcomes have turned Israel into one of the leading partners of Vietnam in the Middle East, President Quang noted. He appreciated the ambassador’s efforts and contributions to the reinforcement of bilateral multi-faceted ties, asking her to continue to boosting Vietnam-Israel relations in her new posts. The two countries’ cooperation potential remains huge, especially in science-technology, security-defence, agriculture, training and trade, the President said, voicing his hope for the continued effective implementation of the commitments made by their senior leaders during President Rivlin’s visit, thereby bolstering bilateral cooperation in a substantive manner. Vietnam attaches importance to the promotion of the friendship and multi-faceted cooperation with Israel, the President added. For her part, Ambassador Meirav Eilon Shahar said during the five years working in Vietnam, she exerted efforts to contribute to bilateral partnership in economy, trade, culture, science-technology, education, and security-defence. She affirmed that after returning to her homeland, she will continue to help foster the two countries’ relations. On this occasion, she conveyed President Rivlin’s invitation to pay an official visit to Israel to President Quang, who thanked and accepted the invitation with pleasure.